MEP is the acronym for Maximum Extent Practicable. The federal Clean Water Act (CWA) provides that National Pollutant Discharge Elimination System (NPDES) permits for Municipal Separate Storm Sewer Systems (MS4) must require municipalities to reduce pollutants in their storm water discharges to the MEP. Andrew Reese sees stormwater management going “back to the future” faster than a 1982 DeLorean with a “flux capacitor.” Even if you don’t get his clever reference to the Steven Spielberg movie, it suffices to say: Big changes are coming out of the U.S. Environmental Protection Agency when it comes to regulating pollutants in stormwater. And, it turns out, mimicking nature with green infrastructure – not unlike the ditches and swales of the past – can not only provide a reliable means of meeting these new standards, but the return on investment could make even Hollywood blush. Andy Reese coined the term Voodoo Hydrology in 2006 to describe the misapplication of science that characterizes drainage engineering and stormwater management practice. He is a prominent and popular American water resources engineer, writer, speaker, and textbook author. 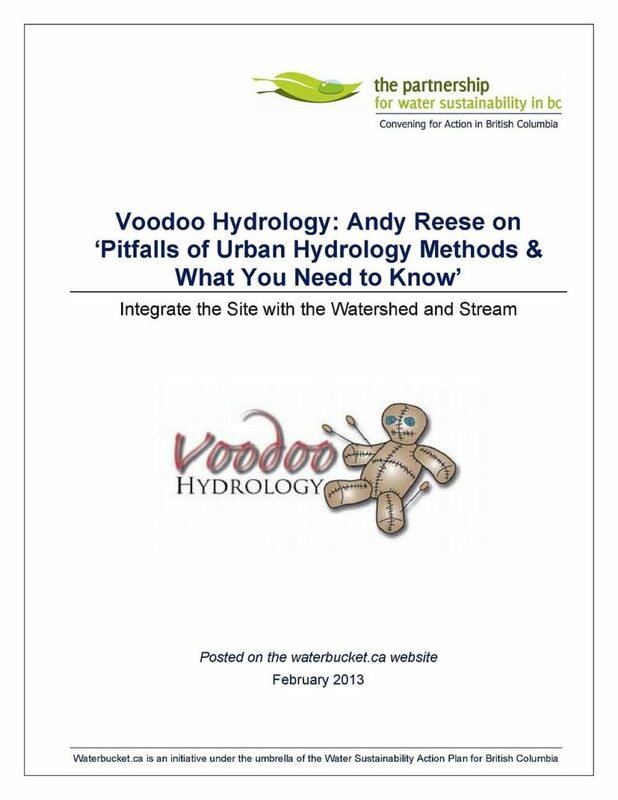 To read his 2006 article, download a copy of Voodoo Hydrology: Andy Reese on “Pitfalls of Urban Hydrology Methods and What You Need to Know”.